United Waterfowlers of Florida is pleased to announce a new scholarship to assist graduate students whose research benefits Florida’s wetlands or waterfowl resources. We will award up to $1,000 for this year’s scholarship, and applications are due by November 1st, 2018. UW-F is the VOICE of Florida waterfowlers in numerous meetings and hearings across Florida. We take a three-tiered approach to improving duck hunting by focusing on conservation, access, and legacy. Our annual Florida Waterfowl Summit provides a stage for researchers to share valuable research, and the creation of this scholarship will help foster waterfowl and wetland research relevant to Florida waterfowl hunters. United Waterfowlers of Florida values the impact that research and education have on the continued enjoyment of our waterfowling heritage and natural resources. This scholarship was established to assist students further our knowledge of Florida’s wetlands and the waterfowl that use them. It also honors the memory of the late UW-F member, Bob “Bomber” O’Connell, who had a great love for waterfowl hunting in Florida. Applications will be reviewed and scored by a committee comprised of members, benefactors, and wildlife professionals. Preference will be given to students whose projects benefit Florida’s wetlands or focus on those waterfowl that are most commonly hunted in Florida, regardless of where the research is conducted. Preference will also be given to students who are applying the award directly to research, but other academic uses will be considered. Only U.S. citizens are eligible. Applicants will be informed of the results by December 1st. The award will be presented at either the United Waterfowlers – FL annual banquet or winter meeting (date and location TBA). Attendance by the award recipient would be appreciated, but is not required. 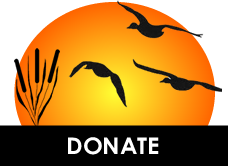 The recipient will be required to either submit an article summarizing their research to the Ringer News, the organization’s newsletter, or present their research at the Florida Waterfowl Summit. The recipient will be required to sign an acceptance form agreeing to conditions for progress reporting, accounting, and acknowledgement (details available upon request).